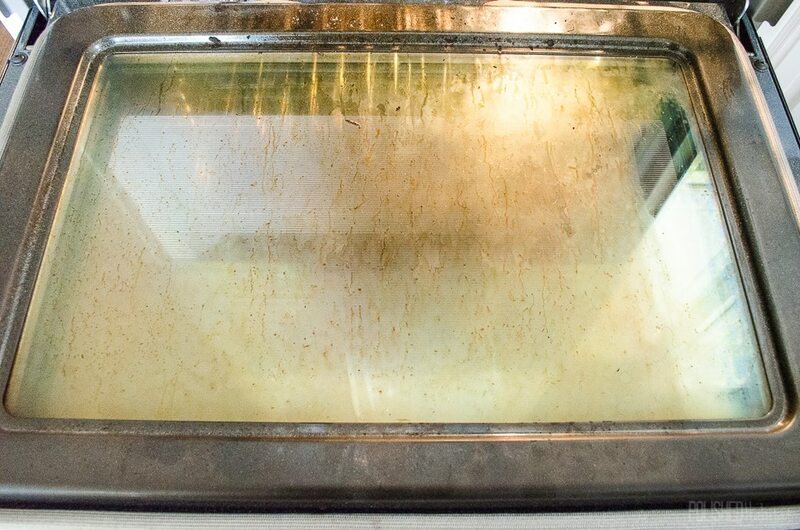 Is your oven glass dirty? Try this simple and affordable tip for cleaning your oven window without spray chemicals! 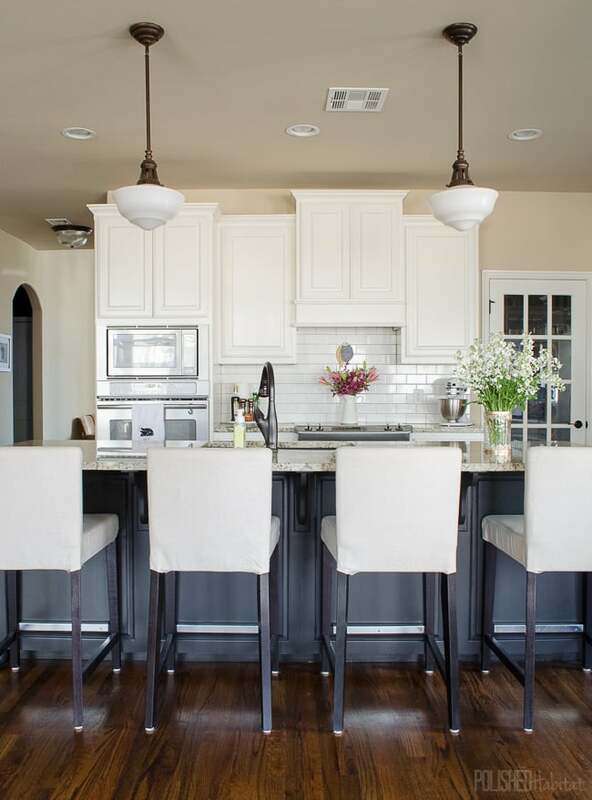 Our kitchen looks clean, and it’s hard to hide dirty in a white kitchen. But, I found a way! I hid it in the oven! The inside of the glass door on our oven was in need of some serious spring cleaning. I’m confused as to how the oven glass could even get so dirty, minus that one time we had a sweet potato-marshmallow fire. The dirty door was super easy to ignore. I only noticed it if we were cooking with guests over. Then all the sudden it was like a giant flashing “CLEAN ME” sign. Of course, by the time dinner was enjoyed and the company is gone, the oven glass was out of my mind. I got an email last month from Mr. Clean (not THE actual big bald Mr. Clean, but his people). I’ll only accept sponsored posts that will bring value to you guys, which generally means brands I’ve reached out to versus the random pitches I receive. But, I do love Magic Erasers! When they mentioned OVEN, the bells starting frantically going off in my head. My gosh, could that little eraser fix my disgusting oven door with no spray chemicals? But PLEASE read the tips below before trying it and thinking it doesn’t work. Using my normal magic eraser process didn’t work for me either. 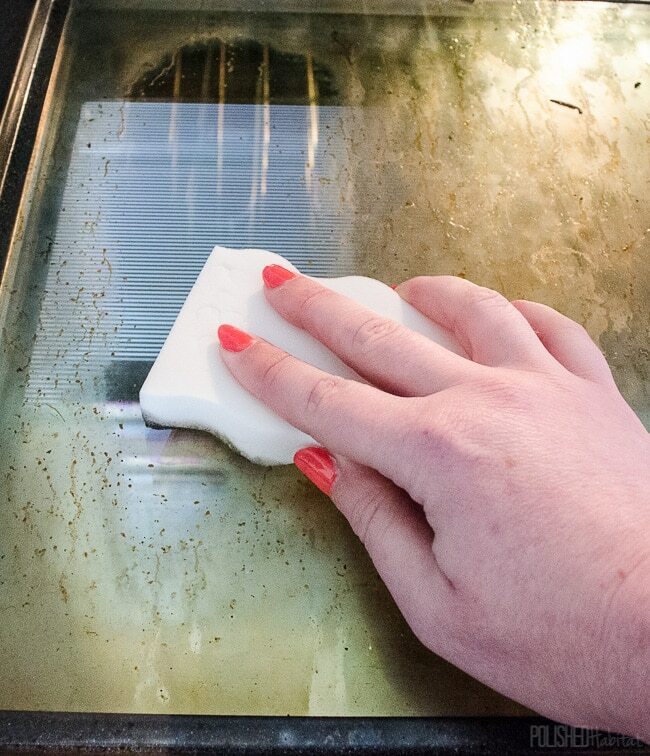 How to Clean Oven Glass With Magic Eraser! 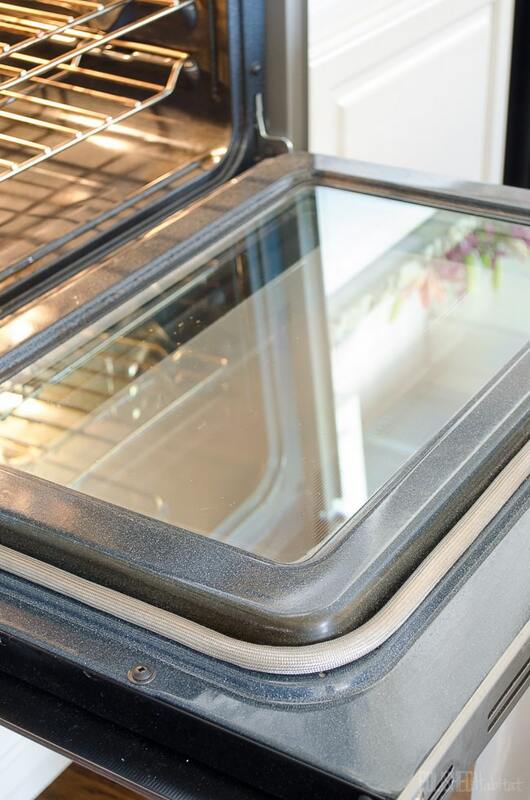 Clean Oven Glass Essential Tips! Because we had years of gunk, including the brief, but scary, fire hitting the door, I did have to use some heavy pressure in places. But, I didn’t use ANY chemicals or cleaners other than the Magic Eraser. And it only took 10-15 minutes of work! I found alternating between wet and dry Magic Erasers worked the best to get rid of all the grime. If your oven is in anything near the Code Red situation mine was, you’re going to want two Magic Erasers for this job. Similar to a pencil eraser, they break down as you use them. I also recommend working on small areas at a time for the best results. Scrubbing back and forth in a wide swipe across the glass was NOT effective for me. I use Magic Erasers in the bathtub and on the white cabinets, but I’ve been missing out on so many other options. So glad Mr. Clean opened my eyes to all the extra ideas! You can pick yours up locally, or just order a big pack on Amazon like I’m getting ready to do. 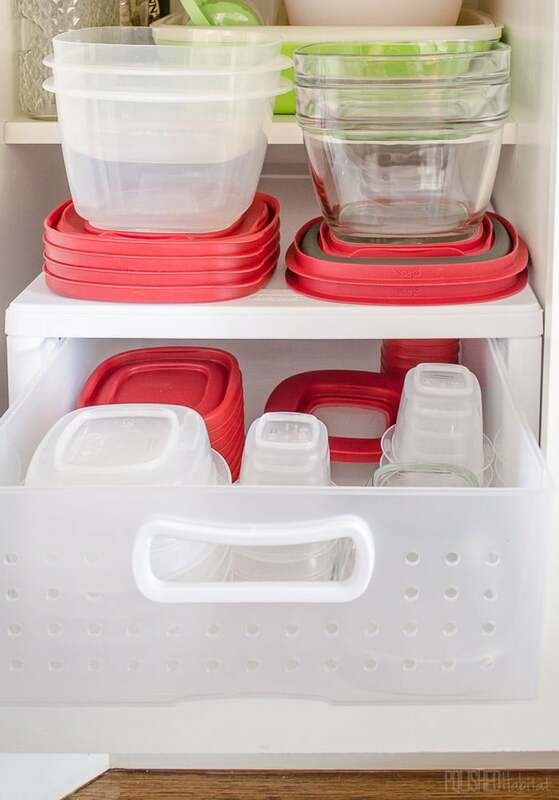 For more kitchen ideas, check out these kitchen organizing tips! 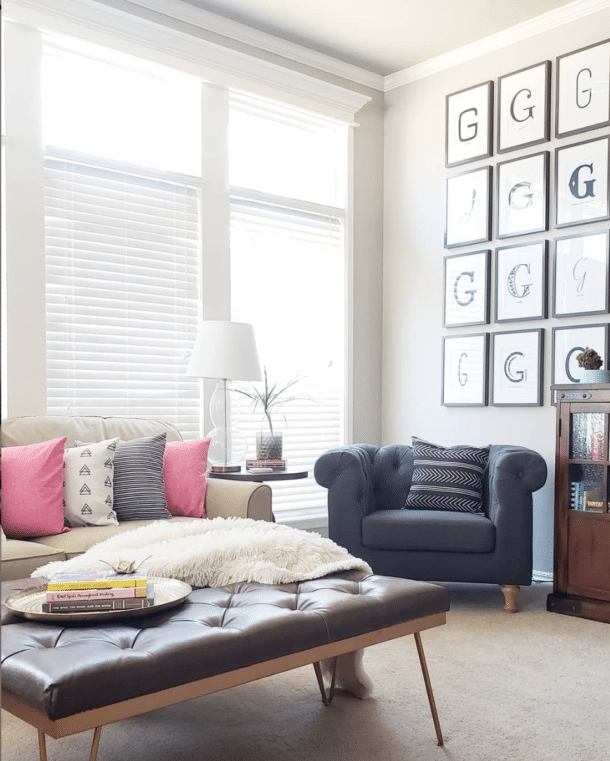 Would you guys find it helpful if I did a follow up on 10 Ways to Make Cleaning Easier with more before and afters like this? And if anyone wants to take pity on me and admit that their oven is also pretty gross in the comments, I’d feel much better about sharing these embarrassing photos with you today! I have a self cleaning oven, after it had cleaned its self the glass between was so dirty I could have cried. I did read a suggestion on how to clean it,,,,by going through the vent holes at the bottom of the oven door/inside. There are no vent holes at the top of the door, only on the outside of the door. Taking the door apart seems the only answer. Thanks for all the help. I find a paint scraper (Razor blade )from Walmart works fast to get the worst off. Then, use the Magic Eraser. Great post. That is so strange, Barbara. I’m really sorry it didn’t work for you. 🙁 Over the last 2 years since I originally shared this, there have been a handful of people who have reported that. 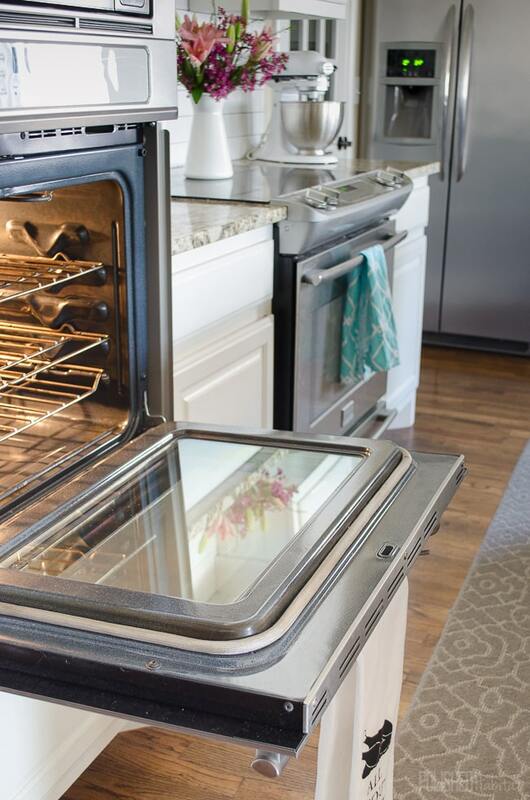 I haven’t been able to figure out if some ovens have a different glass coating or why else it wouldn’t work since the majority have had success. But it frustrates me for you too! Is no longer an issue! I actually thought of Magic Erasers last night (whilst I sat on the floor scrubbing the inside of the door to no avail). When I wiped the door dry the paper towel was clean – the oven door however was still covered in grime! Thank you for showing that these work, off to the shops to stock up today! No chemicals in magic erasers? Of course there are chemicals in them! They contain formaldehyde!! Hi Ally, the post says no spray chemicals (like the popular oven cleaners). I wasn’t trying to be misleading in any way. For us, I’m more comfortable using the magic erasers, which can be used with gloves, than the way I was taught to clean the oven with sprays. Totally understand if this isn’t the right free tutorial for your family though. Have a great week! They absolutely do not contain formaldehyde, please do your research before spreading misinformation through these blogs, because information travels quickly this way. The chemical name for the melamine sponge material is formaldehyde-melamine-sodium bisulfite copolymer, but that is a bound substance and poses no health of safety risk. Formaldehyde is a gas… It would be like saying water contains explosive hydrogen gas, because it’s H2O. I heard they are carcinogenic. Hi Deb, Here’s a link to read up on them: https://www.snopes.com/fact-check/erasers-edge/ That said, it never hurts to were gloves when dealing with any cleaning product if you want to be extra cautious. Recently my old stove started acting up. Hating the idea of $ of buying some friends gave us their old one as they were re-doing all their appl. Its a nice appl but was filthy. I used the self cleaning feature but the glass was awful. Your tip worked great. Now, short of soaking the racks in the bathtub and using soap pads, do you have any rack cleaning tips. I have no manual so was afraid to leave them in during the self-clean mode. Thanks so. Try Oxyclean! Place a couple of towels at the bottom of your tub, place racks on top. Sprinkle in the Oxyclean. Fill the tub with hot water. Let soak overnight. Rinse. Bonus…you gat a clean tub too! I have tried every DIY method on Pinterest and otherwise for these cleaning hacks. None have worked and actually failed miserably. Thought I’d give it one more try and attempt this one. NOPE, I mean really, really, nope. I just spent the last hour first applying the baking soda paste and letting it sit for the recommended time (I’ve tried it from 10 minutes to as long as overnight) then wiping off. Not only did that not even move the heavy stuck on grime, it left a film (as someone on this thread mentioned) that I thought was cleaned off, only to have it dry and I could still see it. Next attempt the Magic Erasers. Yes, I applied pressure alright, my hands and fingers are sore from the effort, and NO it didn’t work at all. I resorted (once again) to SOS pads and scratches be damned, I just want it clean! I am deleting all these hokey DIY hacks from my Pinterest boards, because they just don’t work. (As I write this I am also trying to soak my toaster oven racks in hot water with dryer sheets to see if that works) It’s been over an hour, but I’ll wait a little longer because the gunk was so baked on. I am a meticulous cleaner, but the oven cleaning is my worse failure, because I hate doing it. My oven got cleaned last Fall, so it’s just normal use with wiping down in between. I’m so disappointed. Hi Kathy, Sorry the magic eraser didn’t work for you, that disappoints me too, especially since the oven was just cleaned last fall. It worked really well for us and many others, so I hate to hear it called hokey. Unfortunately, in life, there are very few things that are guaranteed to work for everyone in every situation. If I can share something that works for 80% of people, it’s well worth it to me and I love getting comments and emails from readers thrilled with the results. I’m not sure what you’re referring to about baking soda as that isn’t mentioned in my article. I hope the SOS pad worked and you’re starting the week with a nice clean oven glass after all your trial and error! Has anyone tried this on gas fireplace glass? I use a glass stove top cleaner that works pretty well but this sounds better. I work for a property management company and don’t want to try anything untested on a customers glass. I’d test it out for you, but our fireplace doesn’t have glass doors. Maybe put a call out on Facebook and see if any friends want you to do a free cleaning as a test? Glass is pretty resilient and the Magic Erasers are smooth so I wouldn’t anticipate an issue, but I totally understand your hesitation with customer glass so I don’t want to encourage you to go for it without testing either. I just did this and it took me about 15 minutes!! It worked just as you said! I happened to have some magic erasers on hand! It works like MAGIC!!! I’m amazed!! That’s great! Thank you for taking the time to come back and report your success! Thanks for sharing this tip Melissa!! My oven glass was pretty filthy too. I used the magic erasers (multi pack that had 2 specifically for the kitchen with Dawn soap buit in) and it worked great!! I also went the extra step and took the door apart to clean in between. It was not hard and my oven is so much easier to see in!! Yay! I’m so glad it worked so well for you. I’ll have to look for the Dawn Magic Erasers next time I’m in the store. I haven’t tried them yet, but they sound brilliant! Hi there from far away, Cape Town,South Africa. I see you using that Magic Eraser,what is it, have looked around here in various shops, but no one seems to know what that is? Perhaps its available under some other name, keep up with your hints and tips,always interesting to read and occasionally apply them! I think they might be called melamine sponges there? I believe that’s what other readers in the EU called them so it might be worth a shot! Thank you, will give it a go! I have to disagree with the posters that said it didn’t work. I just cleaned my top oven glass and it worked beautifully. I did spray the glass with a 50/50 vinegar/water solution to help cut some of the grease and wiped with paper towels to dry. I would always forget to clean it until I had preheated the oven to use it then it was too hot. I just had a Halloween party and was so embarrassed when I opened the door to put in a try of food. Now I am ready for Thanksgiving, well, except for cleaning the house and buying the turkey. Thanks for the Magic Eraser idea for the oven door. I recently used one on my stove top (white enamel) and liked the way it cleaned up. I have a few other things to order from Amazon and will add the larger box of Magic Erasers to the list. The clock on my oven stopped working years ago and the self-cleaning feature on the oven won’t work without the clock. Any good ideas on ways to get the inside of the oven clean without the awful smelling commercial oven cleaners? I haven’t tried a Magic Eraser yet but will try that soon. I have seen several ideas for cleaning the microwave: boil water with cut up lemon in it and it will loosen the dirt. I made boil-in-the-bag rice in mine and left it in too long and it worked the same way. Afterward, the dirt wiped off easily. I have been a Magic Eraser user for years. We get the 10-pac at Costco. 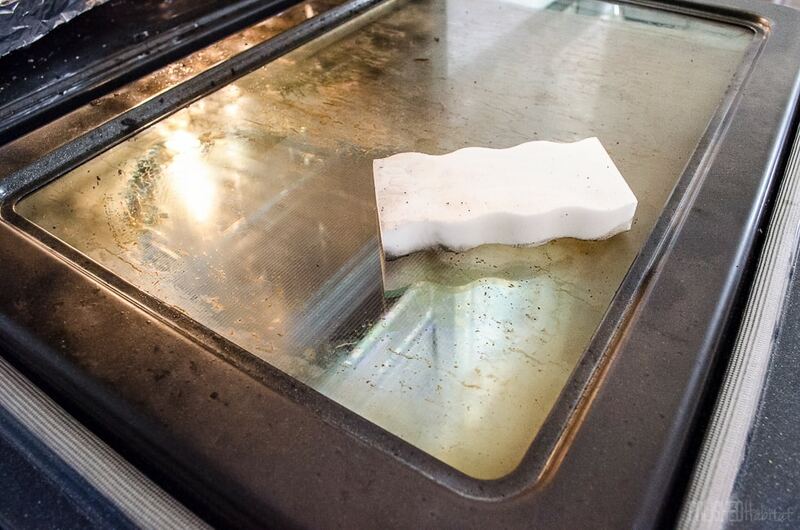 Using the Magic Eraser Sponge works even better on your oven door, if you use it with baking soda (dry) at the same time, with the Magic Eraser Sponge. It really cuts the grease. Less scrubbing! Be sure to rinse well. Works really great. FYI, just an update, I live in NJ and my Dollar Tree s now carrying the actual Mr. Clean erasers in individual boxes for $1. Have passed along to all my girls and we re all stocked up! Ooh! I love Dollar Tree! Thank you! Yes I’m embarrassed to say my oven door looks just like yours. I have tried everything. Now I’m going to get my magic eraser tomorrow and start cleaning. Thanks you so much for the cleaning tip. Please do more. I’m always looking for tips to make cleaning less work. Do you start out with the wet or dry eraser! When do you switch? I have tried them before but guess I was in too much of a hurry so will take my time now. I started off dry and just switched when it seemed like I wasn’t making good progress anymore. The #1 thing is not trying to wipe back and forth across the whole window at once. 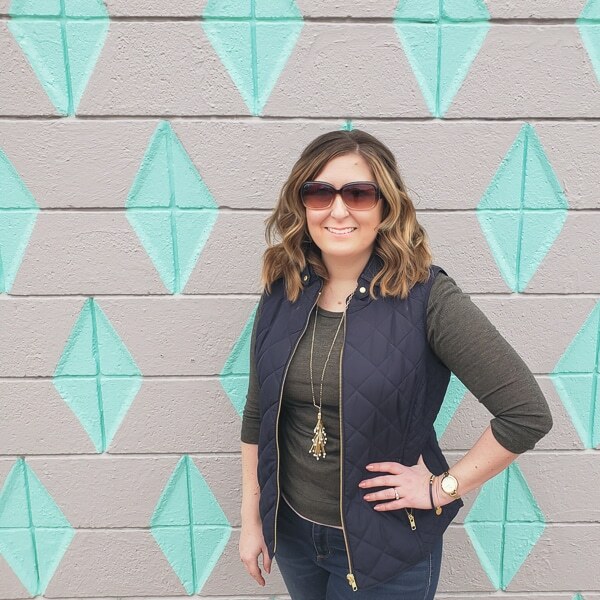 Focus on smaller areas and you should have great results!